Springtime is here once again. After the snow has melted, flowers and other plants start to bloom once again. While it is a lovely sight to see, it can also be a nightmare for allergy sufferers. Most allergy sufferers react from pollen. Others react to dust, smoke or cat dander. Once an allergy is triggered, expect watery eyes, sneezing, itchy nose, and scratchy throat. Allergy is considered a disorder of the immune system. It overreacts to certain allergens, which then causes the symptoms. Chiropractic believes that the immune system’s overreaction is due to the subluxation of the spine. The subluxation is presumed to cause interference to the immune system. Once a joint is misaligned, it can cause impingement to the nerves, which can then affect the system and cause various symptoms in the body. In the case of allergies, the nerves associated to the immune system exits in the cervical (neck) area. Once this region is impinged, it can cause the immune system to overreact. Performing manipulative therapy to the spine can help relieve the nerve impingement, subsequently easing the overreaction of the immune system. 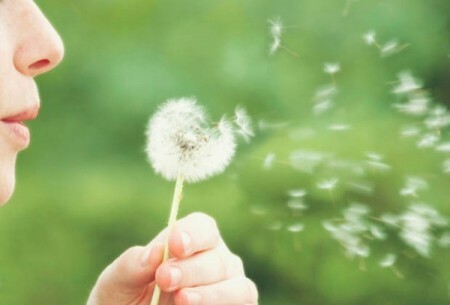 The result would be a decrease in the appearance of the symptoms of allergy. Depending on the degree of subluxation, multiple chiropractic treatment sessions may be needed in order to stabilize the joint. Apart from chiropractic care, there are various natural therapy options that can help ease the trigger of an allergic reaction. For instance, the presence of bacteria in the gut influences the body’s reaction to allergies. Therefore, diet modification is needed to reduce allergic reaction. Avoid high processed foods and those with high sugar content. Taking anti-biotics frequently can kill good bacteria in the gut, which can cause imbalance in the digestive system. It is encouraged that probiotics should be taken regularly especially when under anti-biotic medication. Identify any food allergies or sensitivities. It can also manifest as nasal congestion, sneezing and runny nose. Be cautious when eating foods containing wheat and dairy. Adequate rest or sleep is also recommended because the body only repairs itself during sleep. Always sleep with your head propped on one or two pillows so it stays higher than the body, thus, reducing clogged nose and postnasal drip. Take liver supplements that can improve the ability of the liver to flush toxic wastes from the body. Once an allergy is triggered, histamine is released to the blood. If it accumulates, it can prolong the allergic reaction. Anti-histamines can only stop the body from releasing it, but only the liver can flush it out of the body. These natural treatment methods may not totally eliminate allergy. However, if combined together, it significantly reduce the frequency and effect of the allergic reaction. While others find relief with drugless options, some might still need a certain dosage of medication in order to relieve the symptoms. Always check with your doctor to see which of these natural treatment methods is right for you.